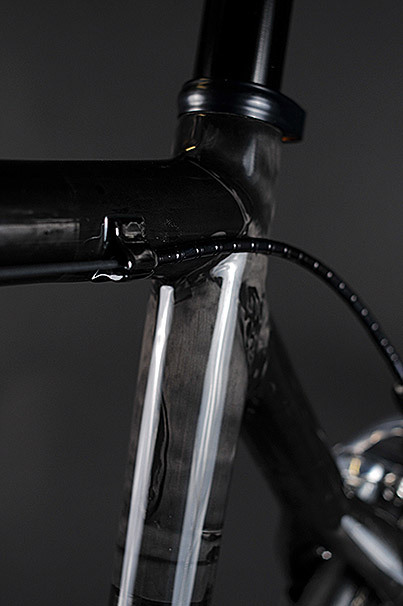 Less is more was the theme for this bike. 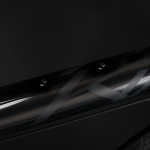 The bike’s original design was to be stealth with subtle logos and graphics. 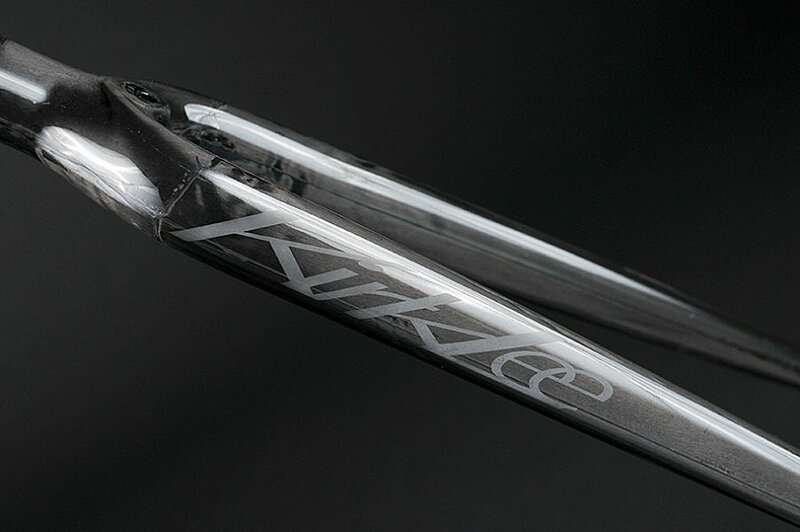 The logos you see here are frosted into the clear with no actual color applied; only a change in texture. 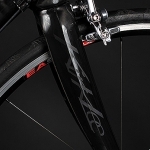 When the bike gets wet, the logos disappear. 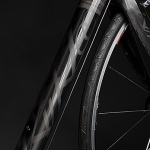 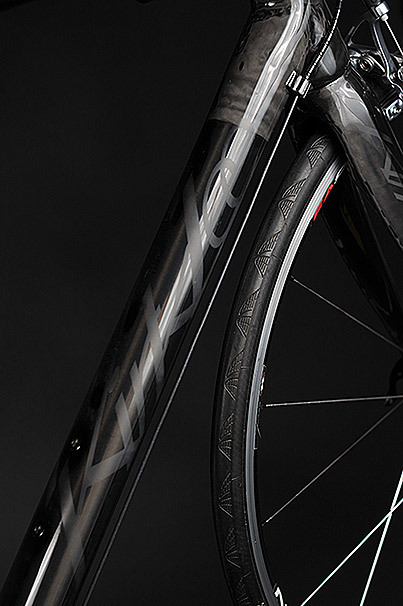 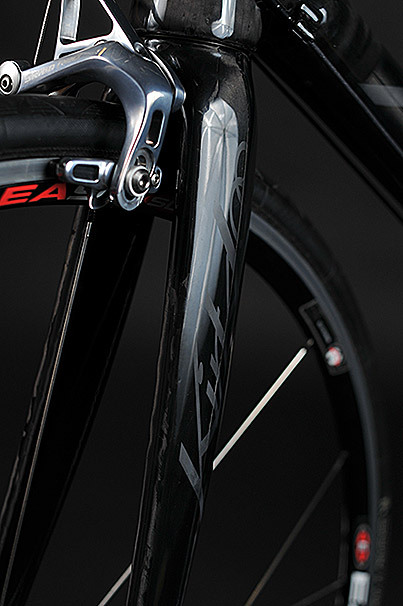 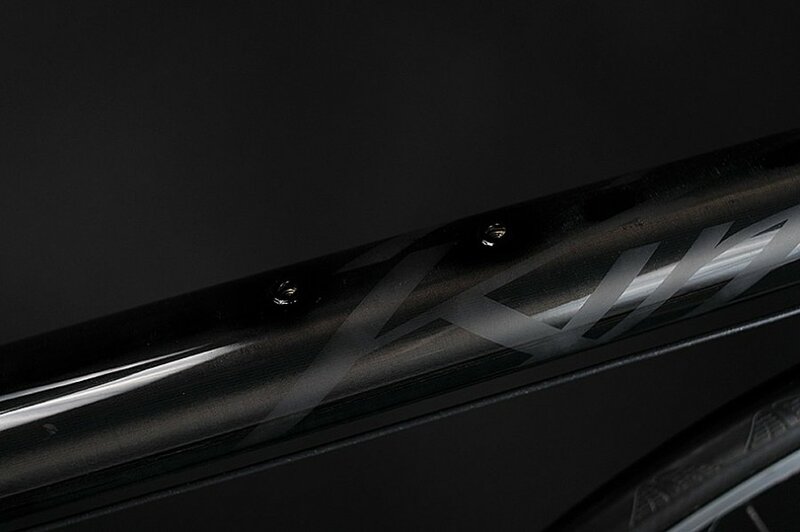 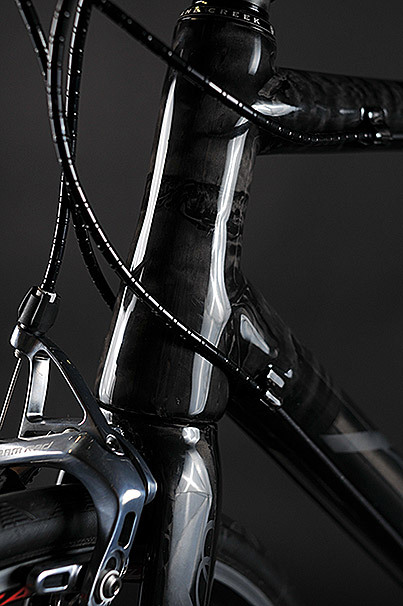 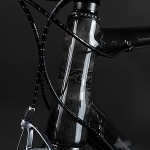 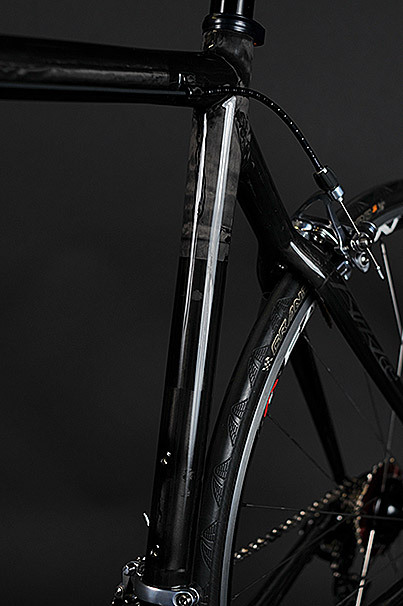 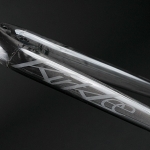 Stiffness is the #1 ride quality of this frame, which is why the carbon layups are brought farther down the chain stays. 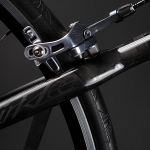 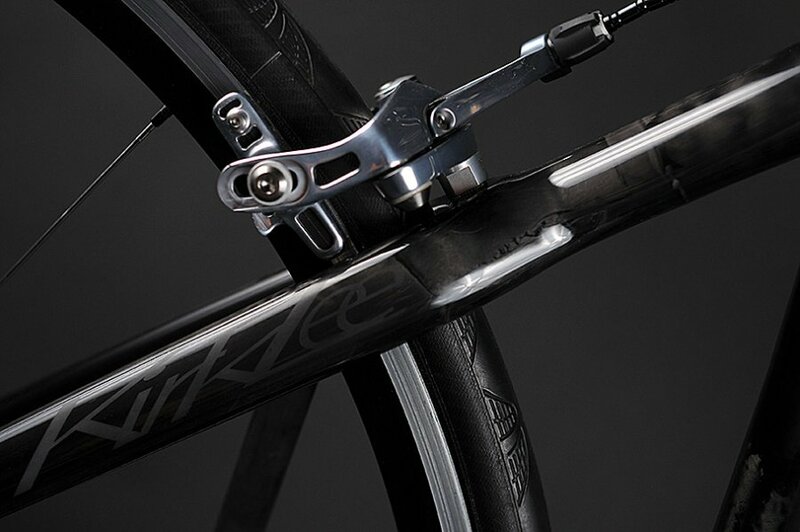 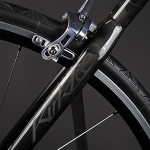 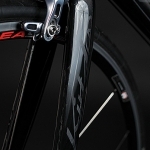 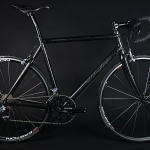 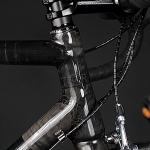 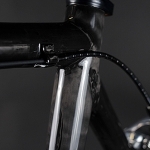 This bike also uses one of KirkLee’s externally butted seat tubes where the front derailleur clamp and seat clamp area is 34.9mm while the rest of the tube is slightly smaller in diameter. 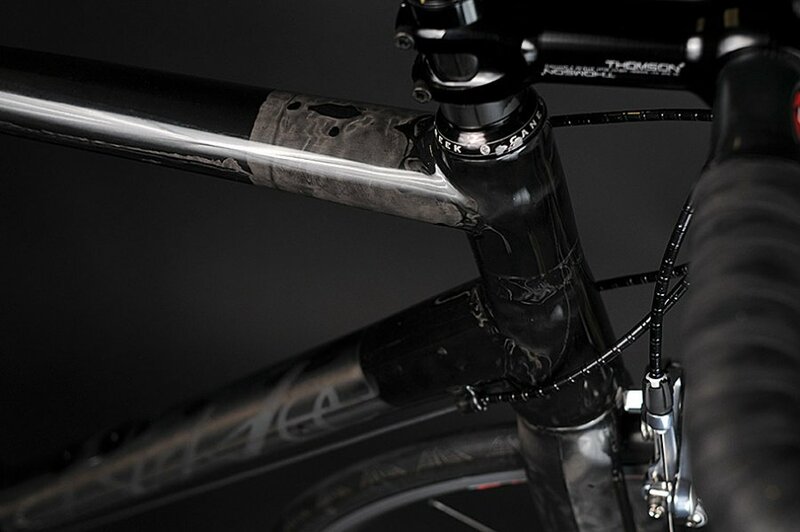 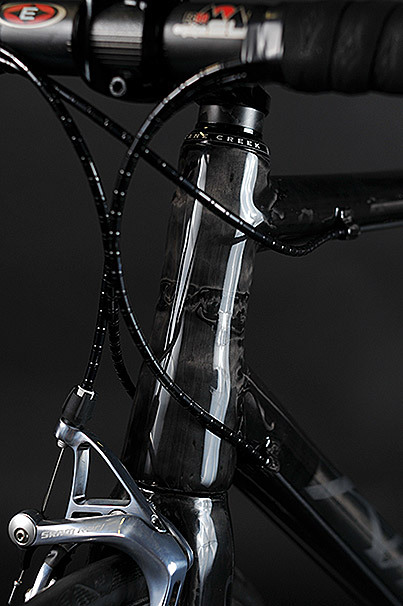 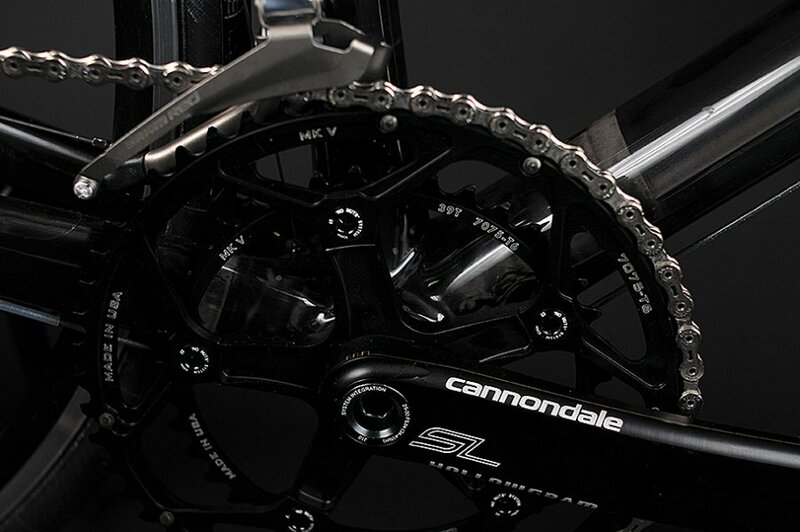 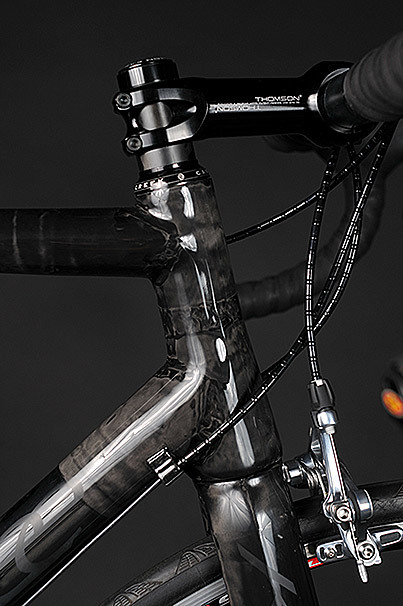 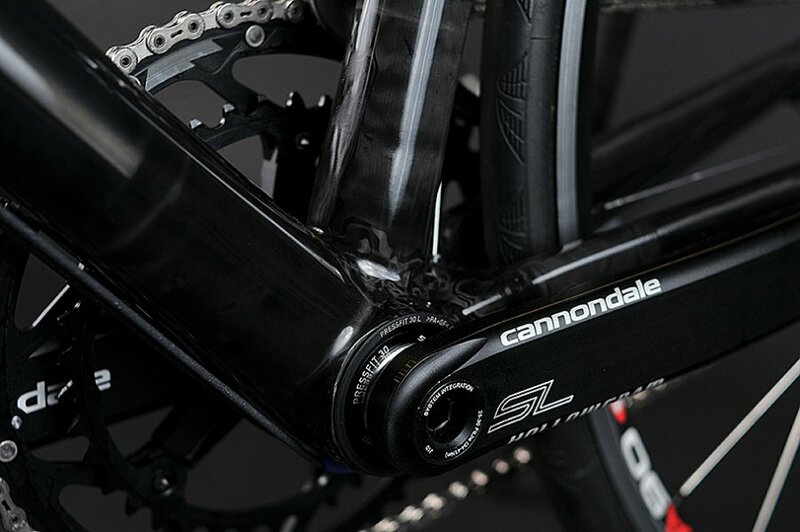 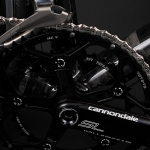 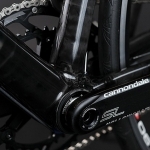 This frame uses a SRAM Press Fit 30 bottom bracket, which looks bitchin’ with the Cannondale SL BB-30 cranks. 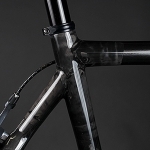 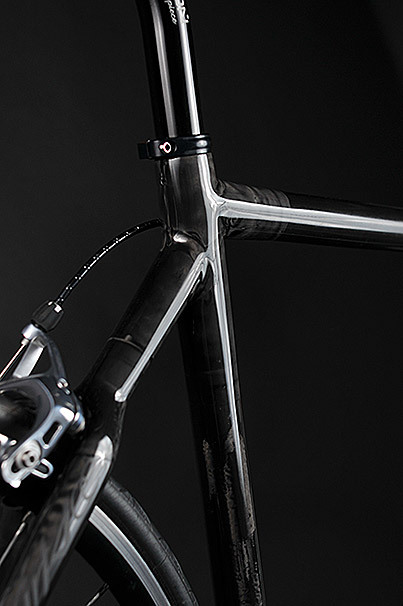 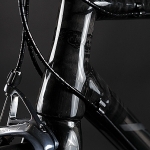 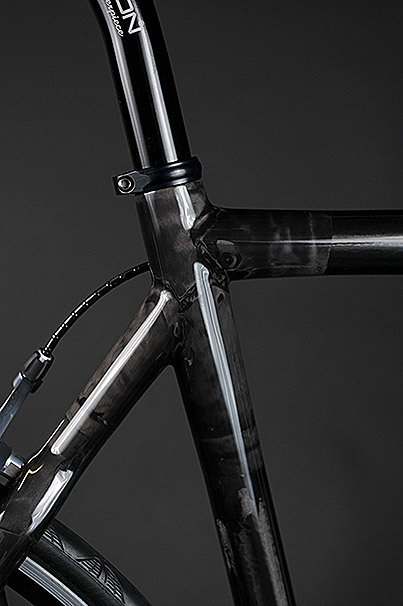 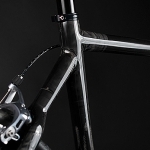 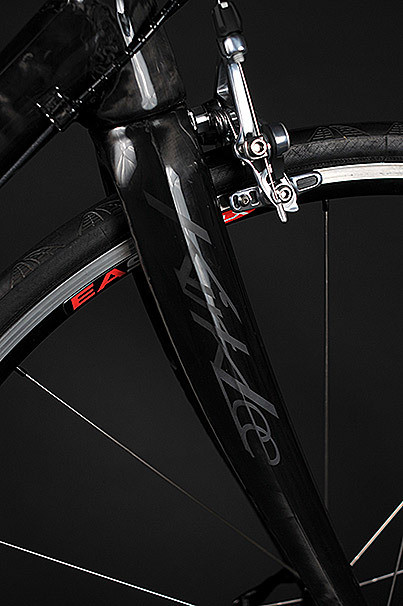 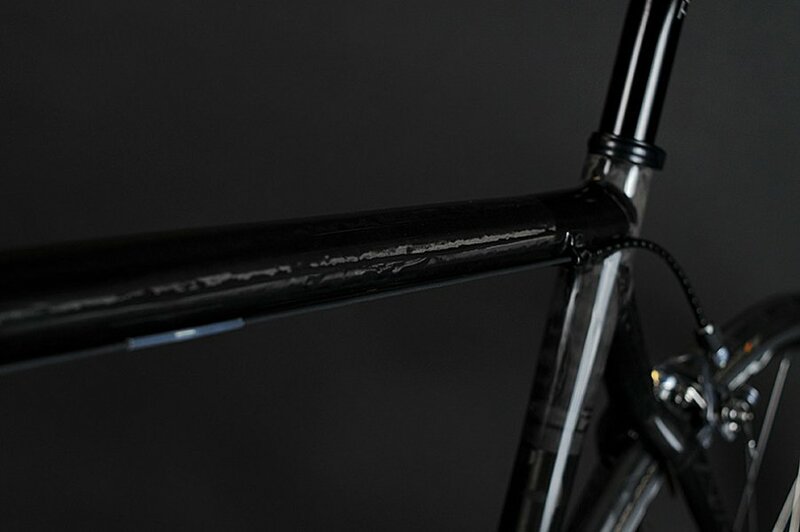 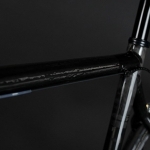 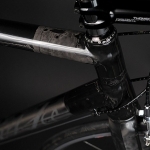 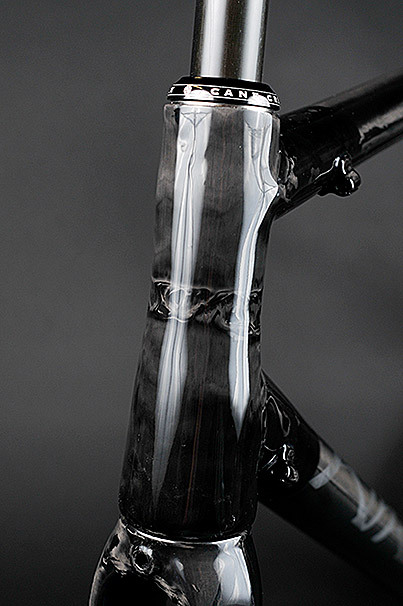 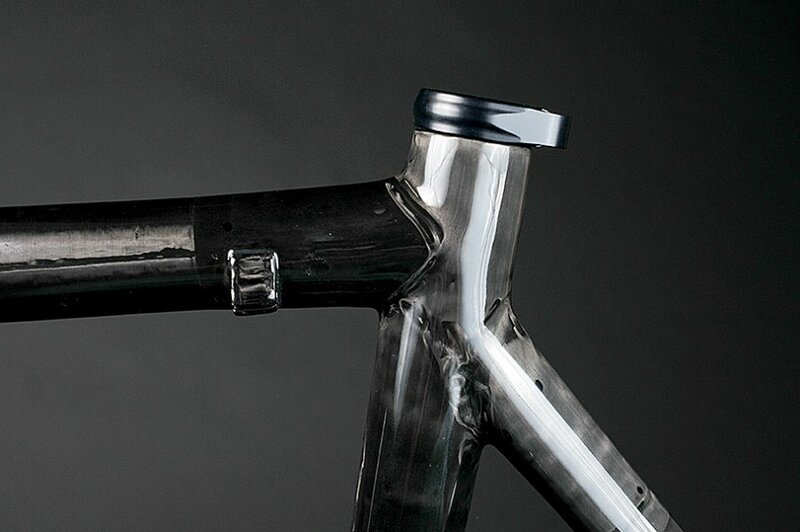 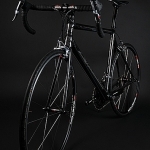 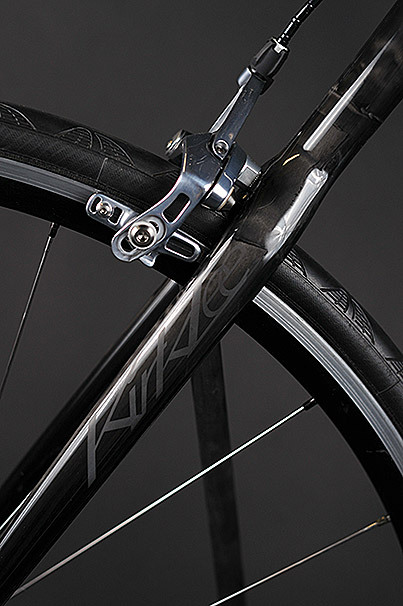 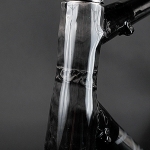 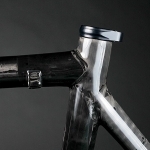 The frame is topped off with a 1.5” tapered head tube adding to the stiffness. 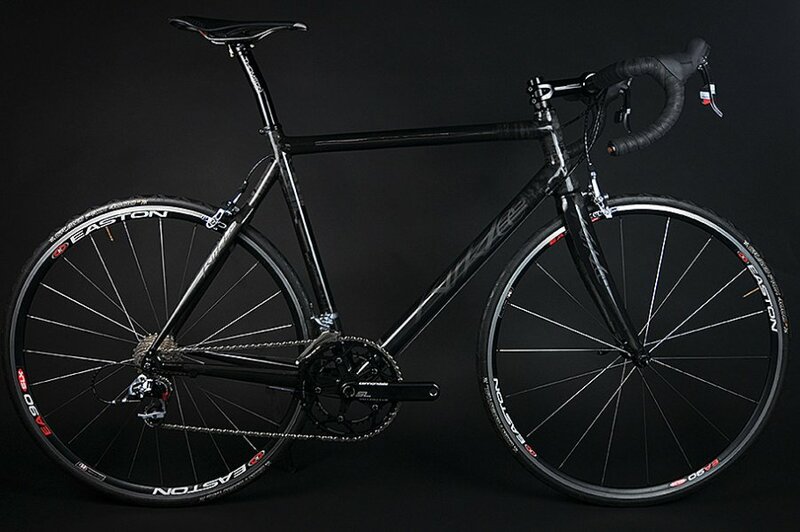 10/22/12 BIKE STOLEN: This KirkLee and three other bikes were stolen from the owner’s garage in the San Francisco area. 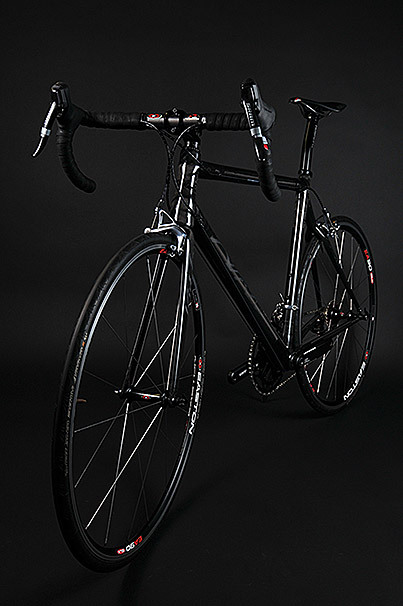 Please contact us if you happen to see it.